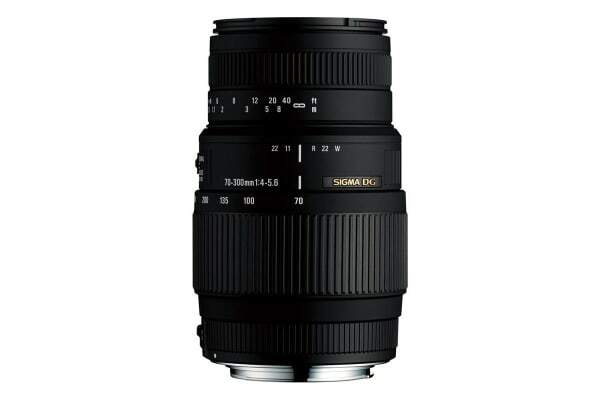 Sigma 70-300mm f4-5.6 DG Macro for Nikon with zoom lens would be the first choice for photographers as it produces quality results consistently. The telephoto zoom range of the Sigma 70-300mm f4-5.6 DG Macro for Nikon lens is what you need to capture great close-ups and live actions. Lightweight and convenient-to-use, the Sigma lens kit is a must-have for photo enthusiasts. With an excellent zoom range, this Sigma lens is great to cover sports and events, as it lets you zoom to shoot the player on field right from the stand. This long-reach telephoto zoom range of the lens precisely frames a far off subject and allows you to capture great pictures for long hours. 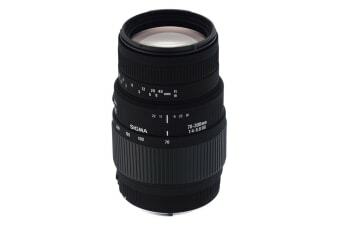 Capturing distant subjects or taking close-up shots, the Sigma 70-300mm is an excellent choice for both. This 300mm lens with a magnification ratio of 1:2 just perfectly captures even the small objects without compromising on quality. Shooting becomes easy with this Macro mode; just tilt the switch, change the mode and you can start capturing those wonderful moments.